Heart’s Blood - variegated reds with a hint of white. 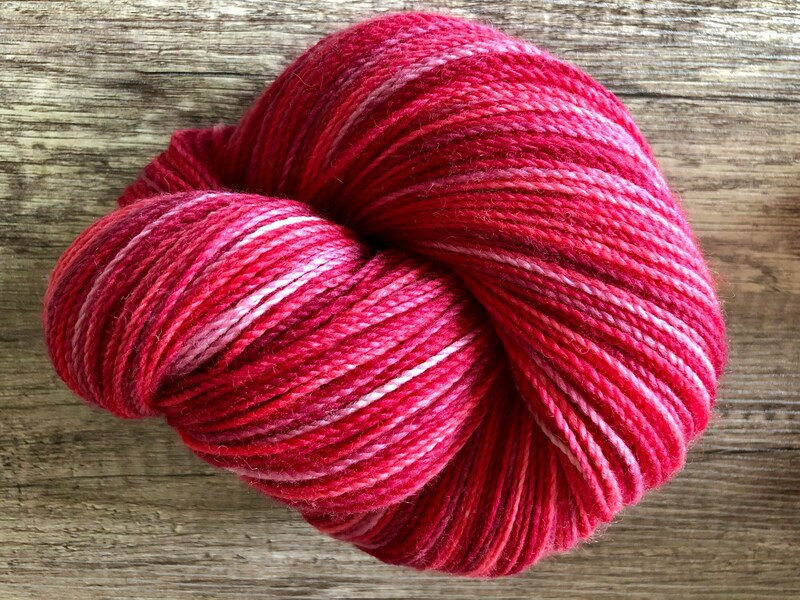 80/20 superwash merino/nylon, milled in NZ. 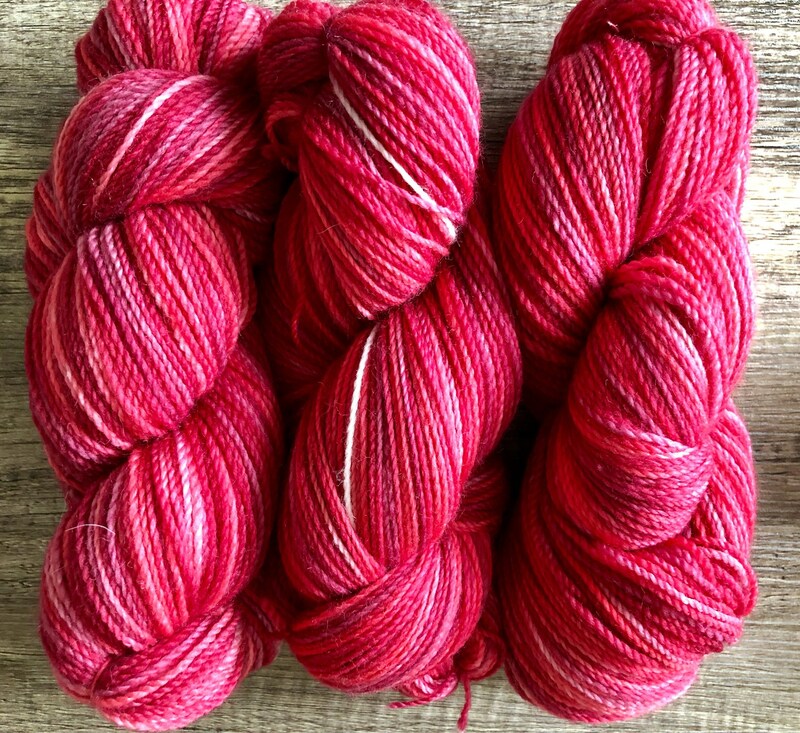 100g, 4 ply sock weight, 365m approx. Can be gently machine washed.